It will have been all over your newsfeed and your TV screen, your morning coffee conversations and your local newsagent. The summer of 2018 was all about the major worldwide sporting event. Yes, you know what we’re talking about. The World Ultimate Club Championships (WUCC), of course! The 2018 WUCC took place in Cincinnati, Ohio, from the 14th to the 21st of July. It takes place every four years and brings together the top 128 teams in the world for one week. And this year, it was extra special. This year, it featured none other than your very own FLYING RABBITS, on their first appearance on the world stage, and ended with them snatching one of the competition’s top awards! Now, how did we get there? When the Flying Rabbits Ultimate Club was founded back in 2013, hardly anyone on the team had played Ultimate before. So, the Rabbits being who they are (if you don’t know, you’ll catch on soon), they set themselves the fairly reasonable goal of becoming World Champions at the earliest opportunity. The deadline? Just over four years away. The first challenge was qualifying. 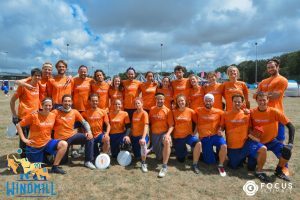 Over the space of a few years, the Rabbits quickly learned to improve their game, and, in 2017, they put together a dream team that made the club Belgian vice-champions for the mixed category of the game. This was our ticket to Cincinnati. And then, the easy part. Another, freshly selected dream team. 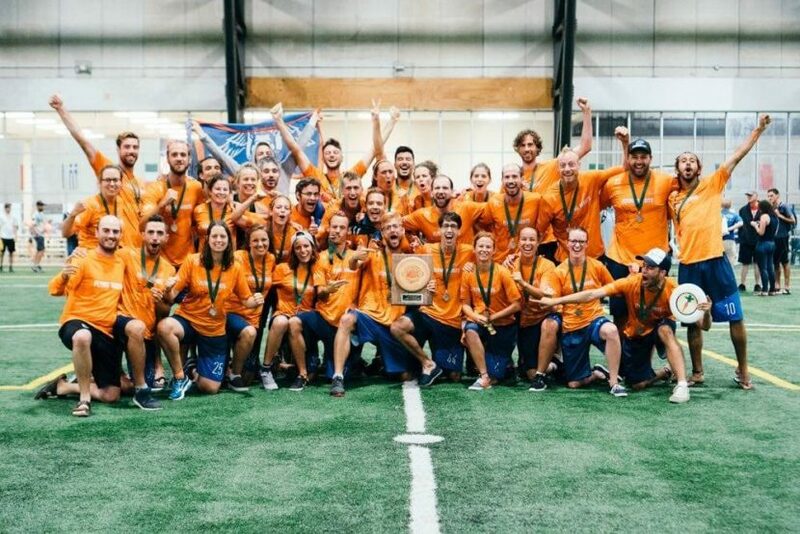 Over six months of ordinary and dedicated practice sessions, a physical training routine, some team-building, three top-level European tournaments, as well as hours and hours spent looking for sponsors, and, finally, 28 Rabbits flew to Cincinnati, Ohio, ready to take on the world. First off, we knew our limited experience meant we weren’t exactly the favourites. That being said, with all the hard work we’d put in, everything we’d learned, and armed with new strategies, our hopes were high! Under the sweltering Ohio sun, our first games unfolded. They were extremely tough. While we put up very good fights, we were outmatched. The second half of the competition was more exciting. The Rabbits had some of their best game on, and managed to take the score lead in more than one match-up. But unfortunately we never managed to keep that lead to the end, which did cause some frustration. Despite all of this, our spirits (small s) remained high, and we were all super pumped to win the last few games. Fate had it otherwise, but our positive attitude, our fighting spirit (still small s) and the fact that we managed to stick together as a team no matter what earned us the title of World Spirit of the Game Champions (capital s this time, woot woot!)! What’s that, you ask? Only the peer-awarded distinction for the most sportsmanly team on the field. All the more significant because, even at the World Championships, the players are the referees! Our stint in Cincinnati wasn’t just an incredible positive experience, it also helped us grow. As players, as a team, as a club. 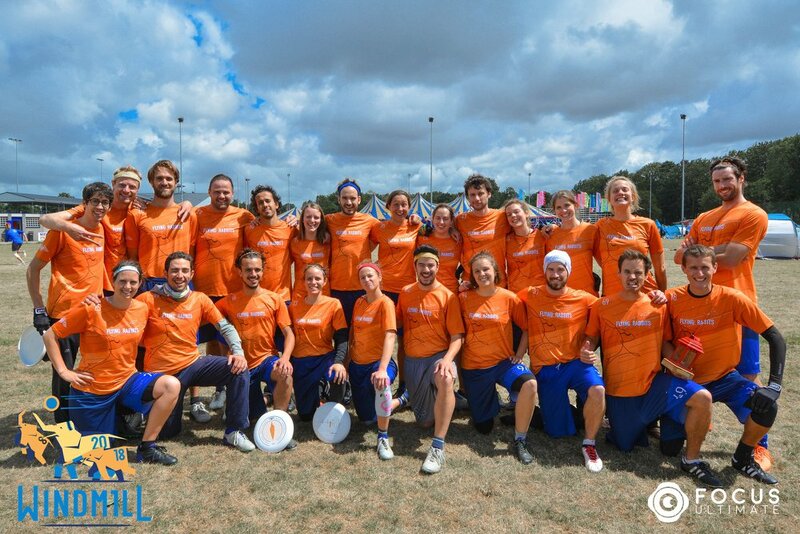 We’ve come back hungry for more, eager to keep going on our journey to spread love, sportsmanship and Spirit across the world, starting with the Belgian Ultimate Mixed Championship this October. World, here we come (again)!